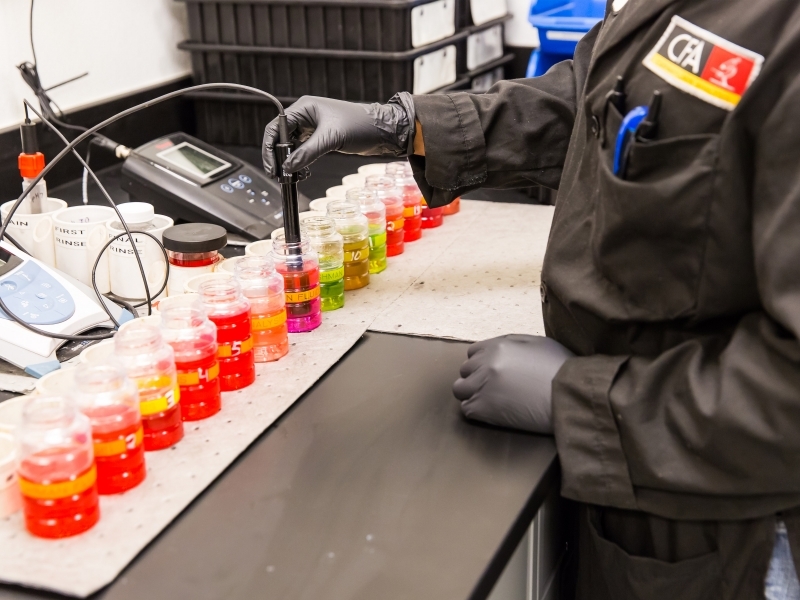 Fluids analysis for your fuel, oil, and coolants is the best way to detect and measure contaminants in your machines’ components, which will head off problems before they result in major expenses. Taking samples regularly is critical because it allows for accurate interpretation. 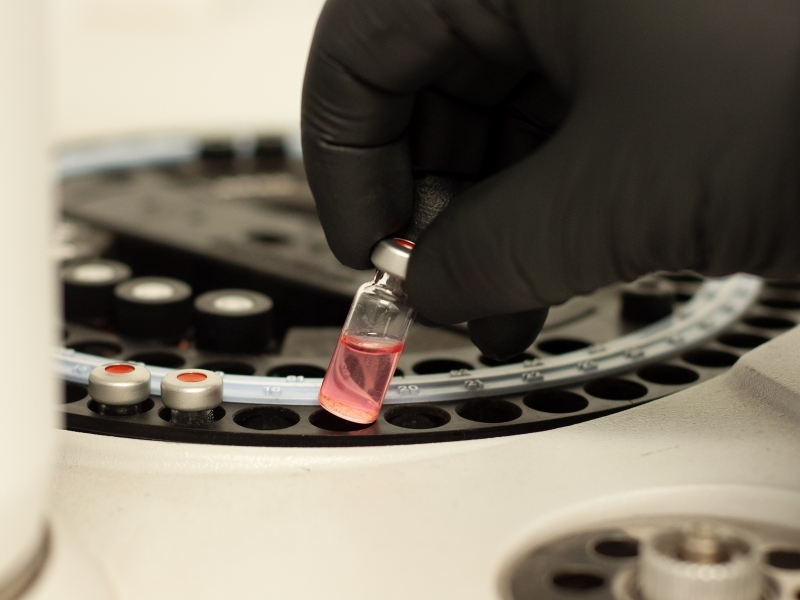 While a single sample may spot contamination or a rapidly progressing failure, only several samples taken at regular intervals will establish trends for say, your drive train system. 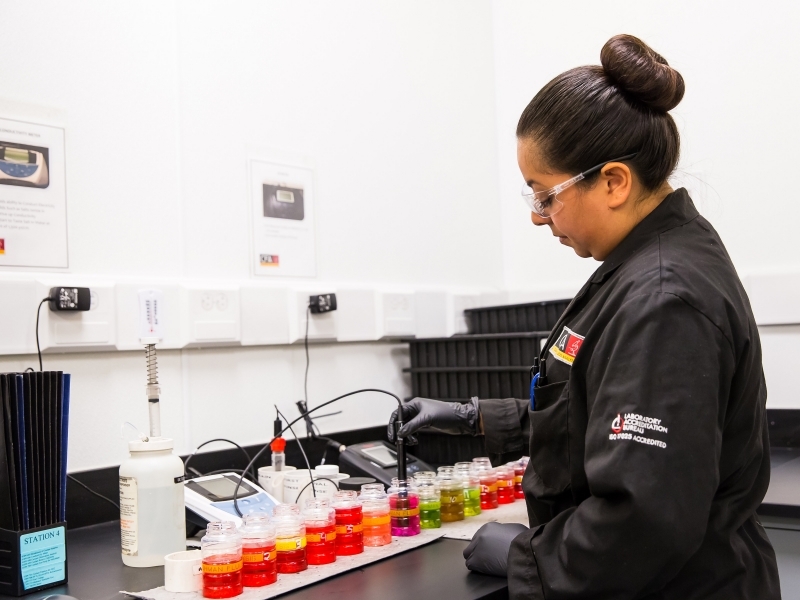 In selecting the lab instruments and tests for our Fluids Analysis Lab, we began by asking what information from used fluid samples would best identify component condition. 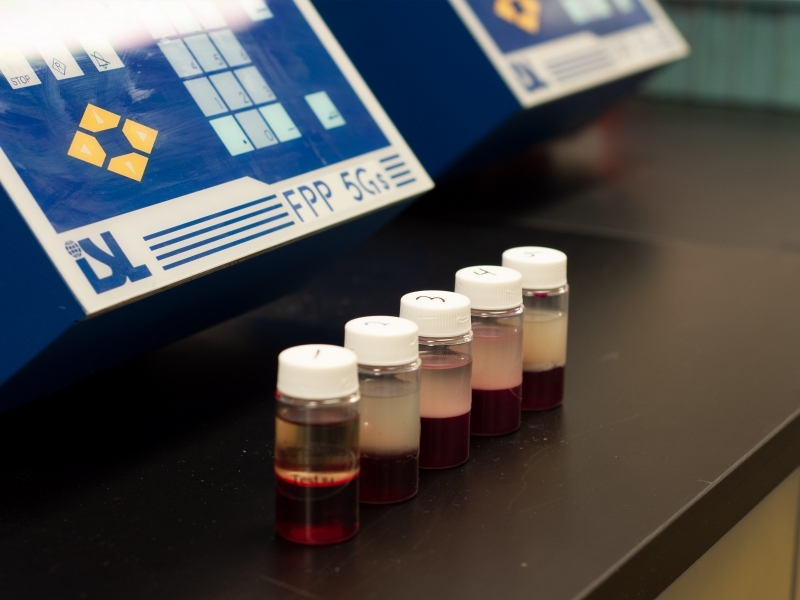 Each fluids test is designed to reveal specific information about the condition of your machine and filters; the goal is to provide you with all the information you need to make timely, appropriate maintenance and repair decisions. We don’t just claim to be a great resource for fluids analysis – We back it up. 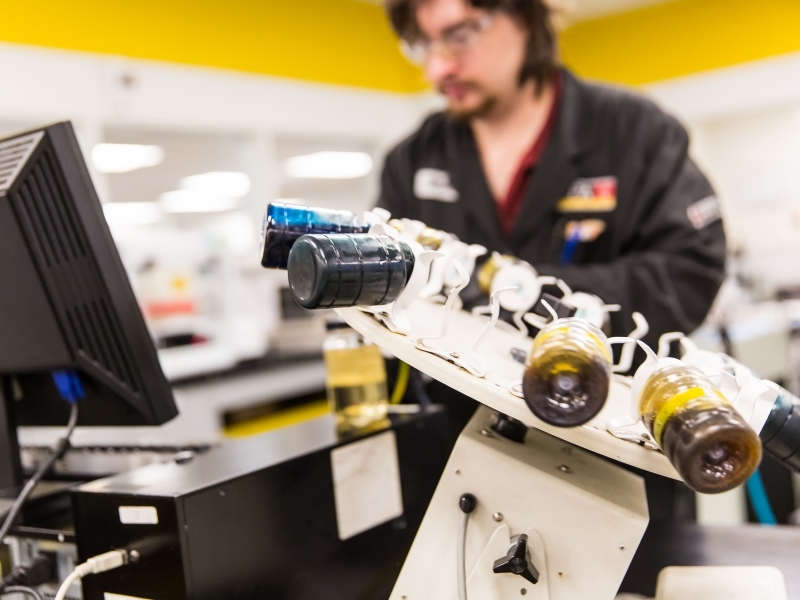 Our Fluids Analysis Lab is ISO 17025 accredited. What does that mean? It means that our people and processes are reviewed on an annual basis by the ANSI-ASQ National Accreditation Board (ANAB). The globally recognized ISO 17025 accreditation assures you that equipment calibration methods, sample test processes, data collection, and reporting are accurate and consistent every time. 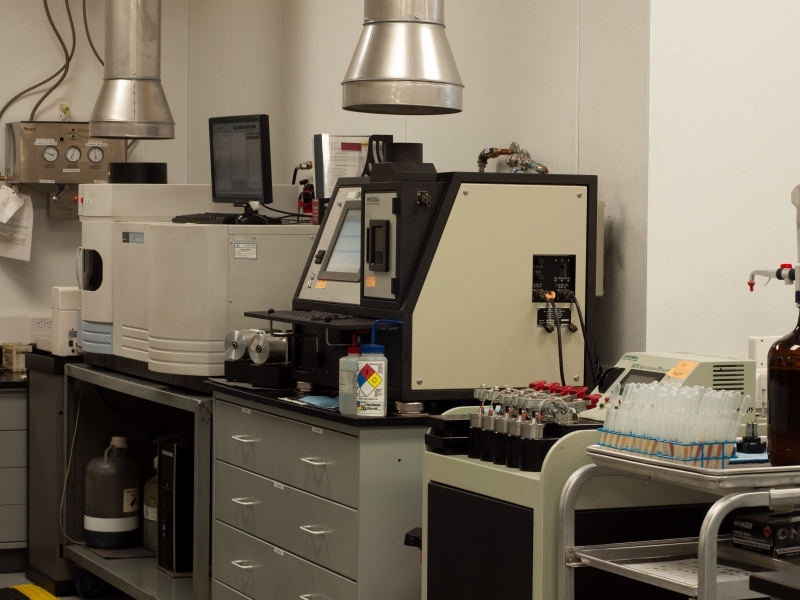 In addition, the Cashman Fluids Analysis Lab returns your samples to you WITHIN 36 HOURS.